There are many problems that Respawn Entertainment are trying to solve with their battle royale game. Apex Legends has experienced hacking problems in-game, as well as what some users have described, an under-performing Season 1 release. But the biggest problem is the lost of interest in the game. Here’s a possible solution on how to solve apex legends retention problem. 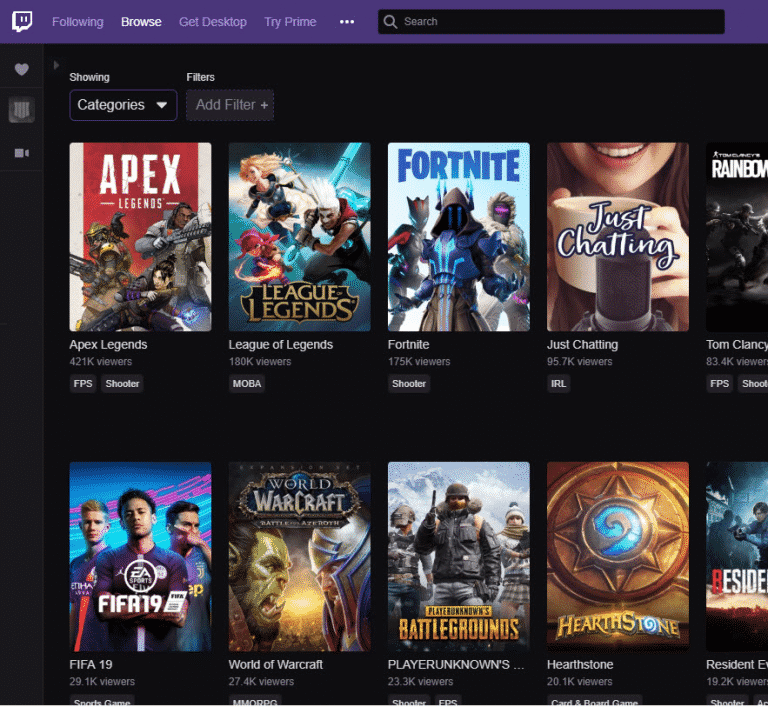 A telltale sign of a games popularity is how many viewers it has at any given time on Twitch. 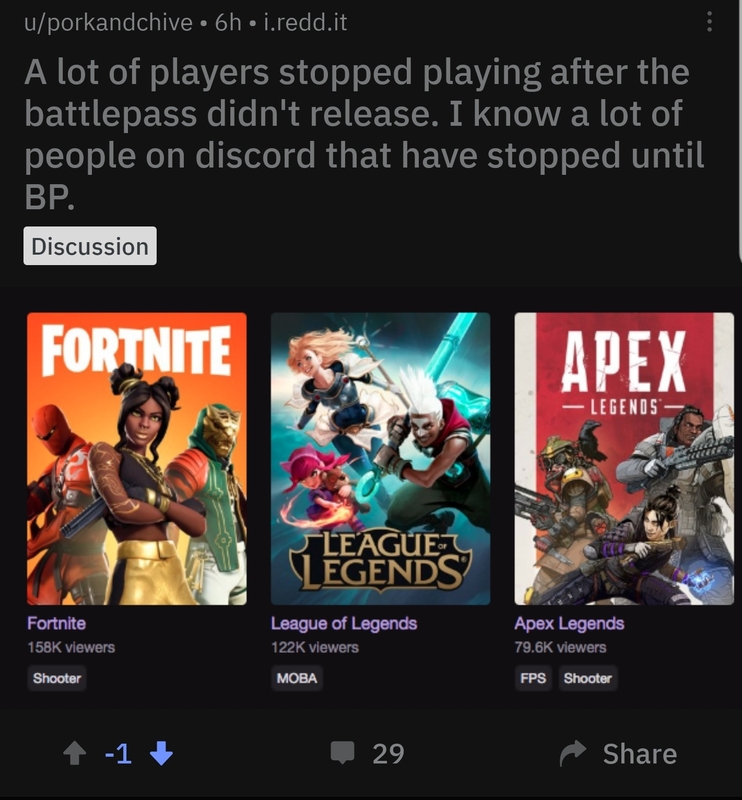 For example, the top two games for the past year has been Fortnite and League of Legends. 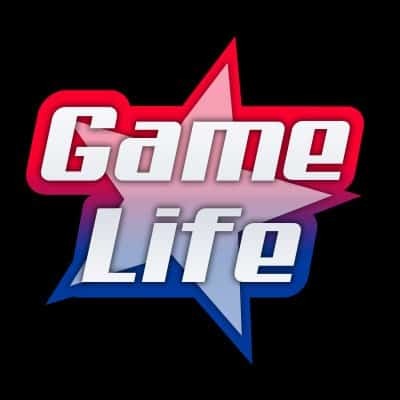 They have consistently stayed near the top of the leaderboards with over 150K viewers at all times. As of this writing, Fortnite is in first place with 200k+ viewers and LoL at 180k+ viewers (Twitch Directory). Depending on the day/week of the month, positions change due to major tournaments or events. If there’s a major CS:GO tournament happening over the weekend, CS:GO soars to the top and gets over 250k viewers, pushing back all the other games. When Apex Legends was introduced back in February, fans of battle royale games couldn’t get enough of the game. From utilizing popular twitch streamers as a marketing channel, to heavy video ads on social media platforms, Respawn Entertainment was making all the right moves. Apex Legends even went over the 400k viewer mark on Twitch, which is a rare sight. Thing’s were looking great for Apex Legends and it seems that EA’s gamble with the new battle royale game paid off. Sadly, the Apex Legends train has slowed down. Popular streamers who backed Apex Legends at launch have now turned their back on the game. Dr Disrespect, one of the more popular streamers on Twitch has said that “Apex is quickly evaporating“. Shroud, another popular gamer said that he prefers to watch Fortnite over Apex Legends. The opinions of both streamers wouldn’t matter if the numbers were still high. But they were right. Apex quickly fell down in viewership. Less gamers were interested in watching any game play of Apex Legends, and viewership sunk to 30,000 at any given time. Players were blaming the hacking problem in-game, while others were saying it was the lack of updates and long wait for the battle pass. Regardless of what the reason was, Apex Legends has lost momentum. Despite Respawn doing their best to stayed engaged with the community via their official social media channels and official Reddit page, it simply wasn’t enough to keep players around. Finally, when the Battle Bass was released, many players were disappointed with the final product. With fierce competition from Fortnite and other new game releases, it’s a fast-pace environment that Respawn is trying to stay on track with. However, one gamer has come up with a suggestion in order to solve one of Apex Legends biggest problem. The problem; retention of it’s users. One Reddit user has taken to the official Apex Legends page and posted a suggestion on the possible solving of Apex Legends retention problem. MauroTauro suggested to introduce “Weekly Challenges“. It’s something that most games have like Fortnite and even the new Battlefield V Firestorm with their Trial by Fire weekly challenges. But, is this something that would help Apex Legends retain their user base and have players come back to play the game? The concept makes sense; give players a checklist of challenges that they need to complete within a week and award them a prize of some sort. Here’s what MauroTauro suggested. The weekly challenges can prove to be the solution that Apex Legends is missing. It’s a straight forward process. Once players complete certain items on the checklist, they get experience points. Complete all the challenges on the checklist and they will receive more points which goes towards unlocking new characters, skins, and of course, ranking up. Perhaps the question here is why hasn’t Apex Legends introduced such a simple concept to start with? 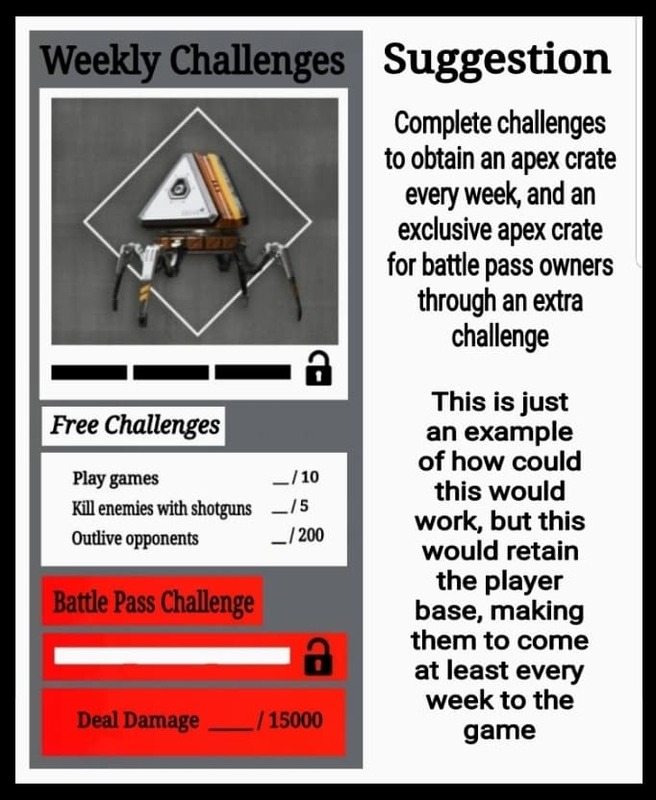 The weekly challenges idea was well received by the Apex Legends community on Reddit. The post received more than 750 upvotes as of this writing. 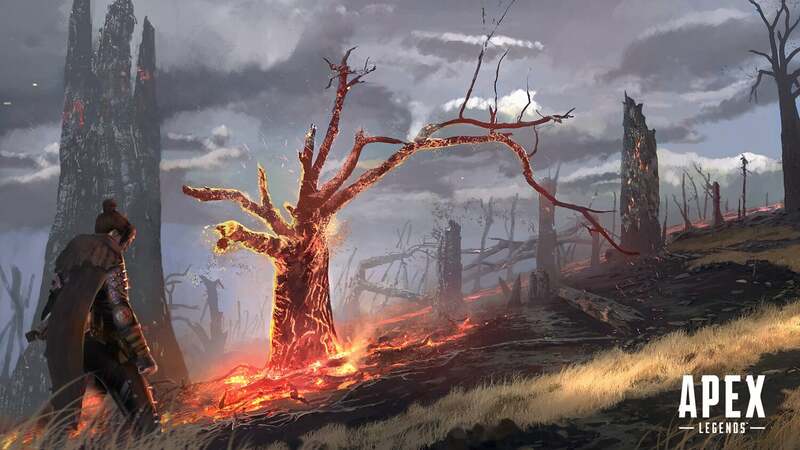 The community recently seen a mishap with the latest update from Apex Legends as a “Leaver Penalty” was mistakenly included. Users saw a leaver penalty feature that would penalize players who left games early. Although Respawn officially came out saying that the release of the leaver penalty was due to an error in the script, perhaps the leaver penalty along side the weekly challenges can help retain Apex Legends users base.